It's that time of year again! 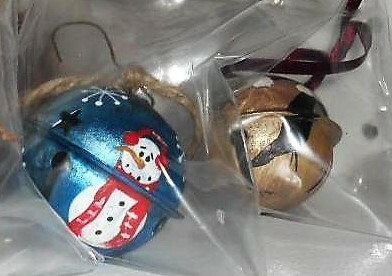 The time that I really start to begin painting more Christmas decorations for my Booth#555 at the Peddlers Mall. 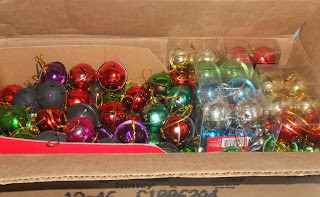 I got the Christmas spirit in September, lol. 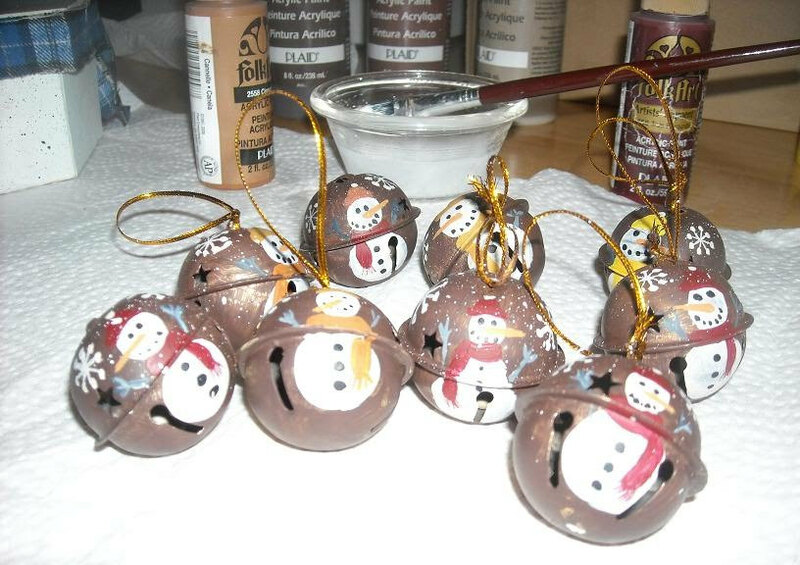 And today I am starting on a new batch of Snowmen Jingle Bells. I got inspiration for these from the Oriental Trading Catalog. Theirs sale for $16.00 per dozen. I seriously buy every box of these I find, especially at the after Christmas sales! I will get around to using them, believe me! Raised back to $1.59 each since I finished them in wax & began to package them. These I experimented with dipping them in hot, butter colored wax, after painting. It made a great finish. Can't really see it in the pics, but looks pretty good. 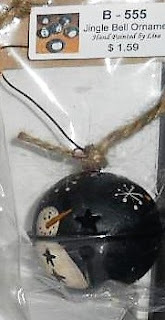 And the middle one is an old, black crow wearing a santa hat. Being as I did the extra wax dipping, is why I raised these back to $1.59 each. Keep in mind, these are great crafts to make and sell. 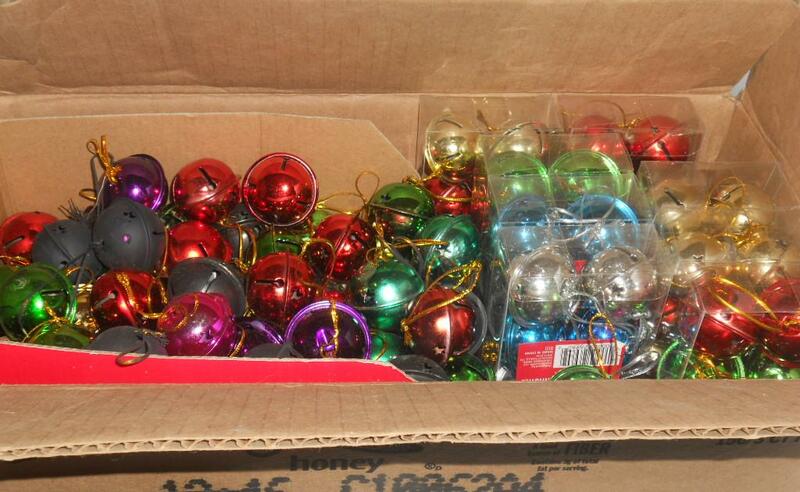 Especially if you find them in boxes of 6 marked down to half price to only $.75cents. That makes you only have like 12cents each in them. Sometimes even less if the sale is bigger. Then just your time to paint with paint you already have, probably. 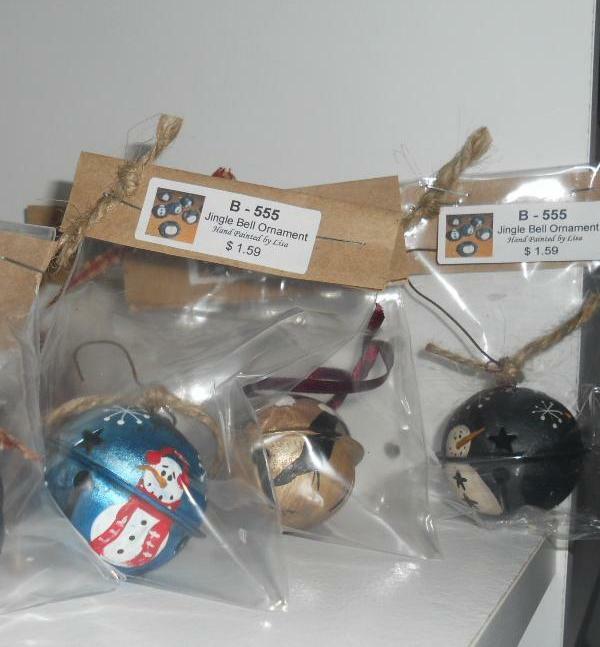 They are steady sellers for my craft booth. And with changing the theme a little each year, it makes a great item for people to look for. Sometimes I even put the date on the back of them. When I remember to, that is. 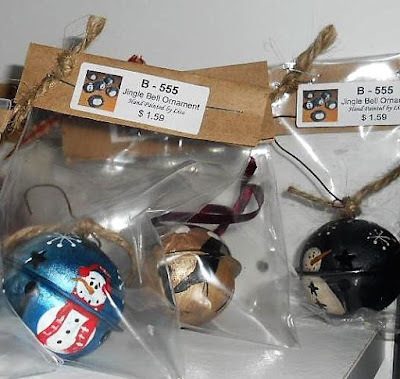 Hope this gives you some ideas to do with those plain ole' jingle bells! How very clever of you! You're a dab had with a paint brush too!